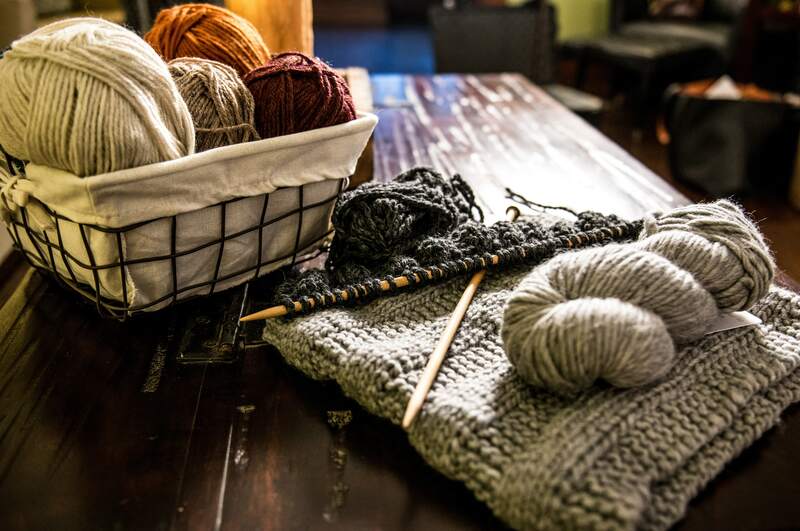 Fiber artists — like knitters, crocheters, and weavers — may have a considerably smaller toolkit than some other types of makers. Give them some quality yarn, some needles, a loom, and some scissors, and for the most part, they're likely to be pretty happy. However, that doesn't mean that they don't shop around for the best products or try out new brands when they're given a good reason to. 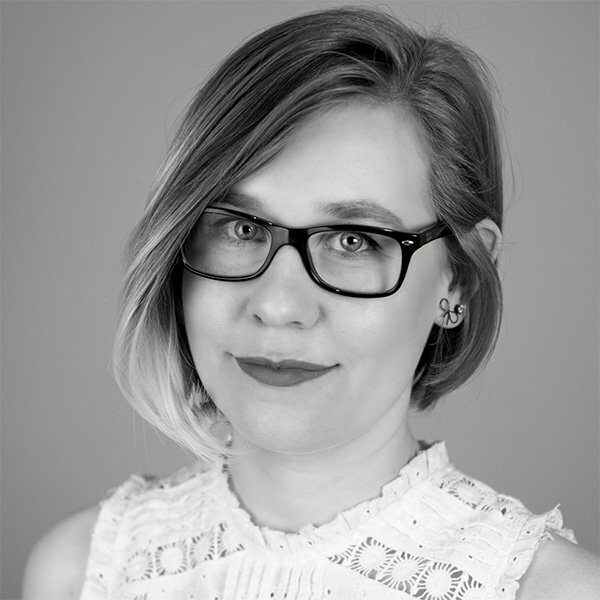 While every consumer and fiber art process is different, having an understanding of the ways your target audience discovers and purchases new products is one of the best ways to improve and diversify your content marketing strategy. Enter the Buyer's Journey framework. 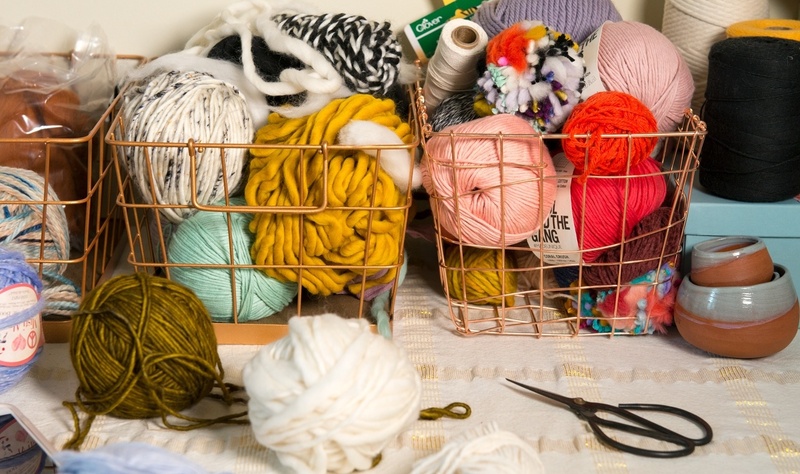 By illustrating a general buying process for knitters, crocheters, weavers, and other fiber artists using the Buyer's Journey framework, your team can discover what topics they should be covering in the content creation process. In this post, we'll explain what a common Buyer's Journey for fiber artists might look like and how your brand can use that journey as a guide to attracting and retaining new customers and brand supporters in the fiber art community. The Buyer's Journey is a framework that illustrates how a particular target audience (or persona) discovers and researches products before deciding to buy. The framework is made up of three stages — awareness, consideration, and decision — that are characterized by the type of questions the potential buyer is searching for answers to at that stage. While the Buyer's Journey framework is a helpful way to understand how potential customers make buying decisions, it's important to remember that this framework is flexible. Some buyers might skip certain stages or ask more unique or specific questions, but understanding the framework is a great starting point to understanding what information your potential customers need from your brand. Here's a look at what each stage of the Buyer's Journey entails and what those stages might look like for fiber artists in particular. For fiber artists in the awareness stage, content like how-tos and tutorials are especially helpful because they're able to watch someone else demonstrate the process they're trying to replicate and identify what they're doing wrong. 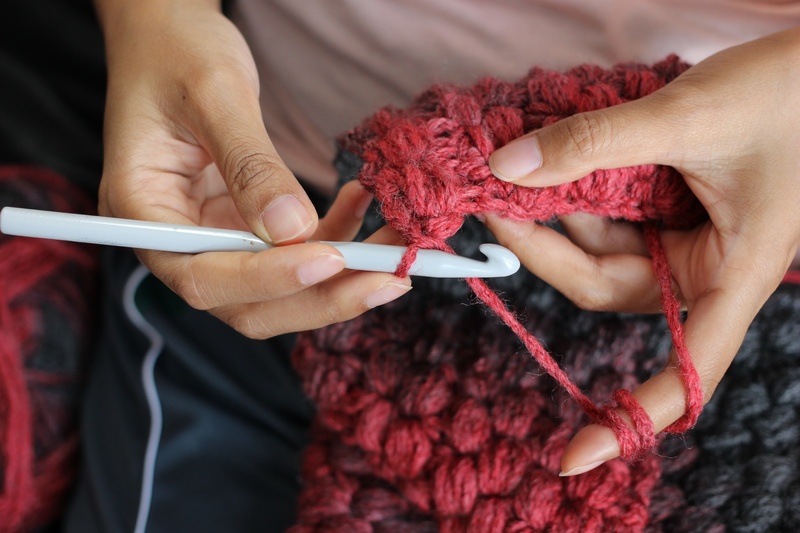 Additionally, educational blog posts and videos on knitting-, crochet-, or weaving-related topics can provide helpful information that helps the maker identify what they need to change about their process in order to solve their problem. What other types of yarn could I try? Is there a product that's better for this project than what I'm already using? Should I be using natural fibers? Is there a new stitch or pattern that could give me better results? What products are specifically designed for the type of projects I'm working on? Fiber artists in the consideration stage are likely searching through various retailer/manufacturer websites to compile a list of possible products they could invest in to solve their issue. Additionally, to attract fiber artists in the consideration stage, provide blog posts or videos that explain the value of changing their process or upgrading their tools and materials and the new, better results they can expect from those changes. Content for this stage of the Buyer's Journey should focus on the value you provide with your product and your brand. While content for the first two stages should remain purely educational to avoid coming across as a disingenuous sales pitch, providing some content, like case studies, feature/benefit posts, and product comparisons, is helpful for customers in the decision stage. While you should strive to keep your content genuine as opposed to salesy, you should give fiber artists the information they need to make the best purchase decisions for them (even if that content ends up deterring the potential customers that aren't right for your product). Decision stage content ultimately helps the right people commit to trying your product. Good marketing strategies focus on both building relationships and trust with potential customers as well as moving them toward a purchase. Both elements are crucial to developing a strong community of fiber artists that support your brand and recommend your products to other makers in their communities, both in person and online. 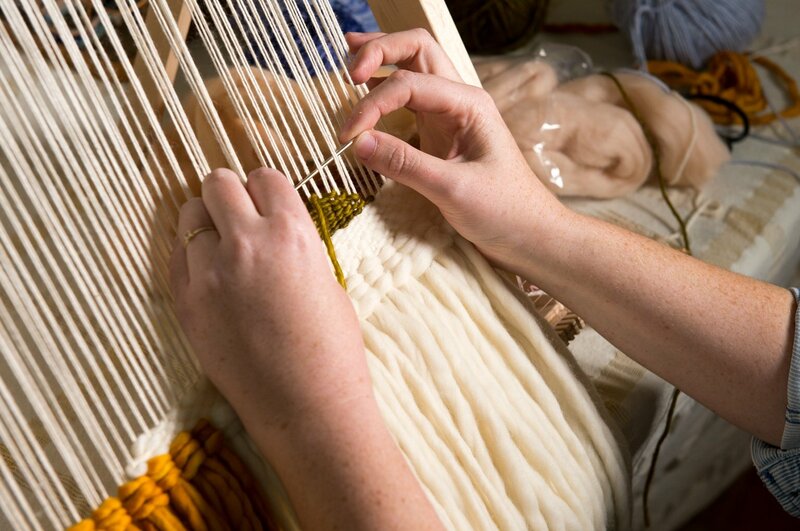 By providing education and expertise centered around the main questions and topics involved in this buyer's journey, you can begin to reach fiber artists at every step of the framework, allowing your potential customers to get to know your brand before you ever actually ask them to buy. With the Buyer's Journey and your target personas in mind, your team can start creating a comprehensive backlog of content that can reach fiber artists at any point along the framework. By analyzing the types of questions and keywords fiber artists are searching at each step of the journey, you can ensure that your content strategy doesn't have an glaring gaps. The buyer's journey we've outlined in this post is a great place to start, but it's almost important to remember that your particular personas or target audiences might have much more specific questions or problems compared to the more general ones we've listed here. 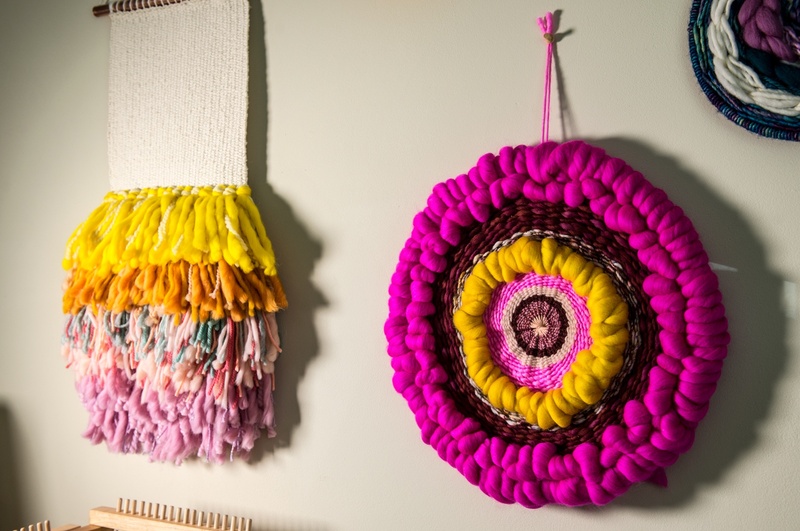 Through mindful conversations with customers and further audience research, your team should be able to supplement this buyer's journey framework with the specific topics the fiber artists you want to target are searching for.